The Archive of the Abbey-Principality contains several items from the earliest days of the missionary effort of the future Prince-Abbot Joseph III. 1885 is the year in which he was ordained by the Old Catholic Church as the first Old Catholic missionary priest in the United States. Working in Wisconsin, he opened the Church of the Precious Blood at Little Sturgeon, the Church of the Blessed Sacrament at Green Bay (still an Episcopalian church today) and a third church at Dykesville (Duval). These items, among the simplest and yet the most redolent of those contained in the Archive, attest to the essentials of ministry; it is from these foundations that everything else would be built over the years. Unhemmed chalice pall. 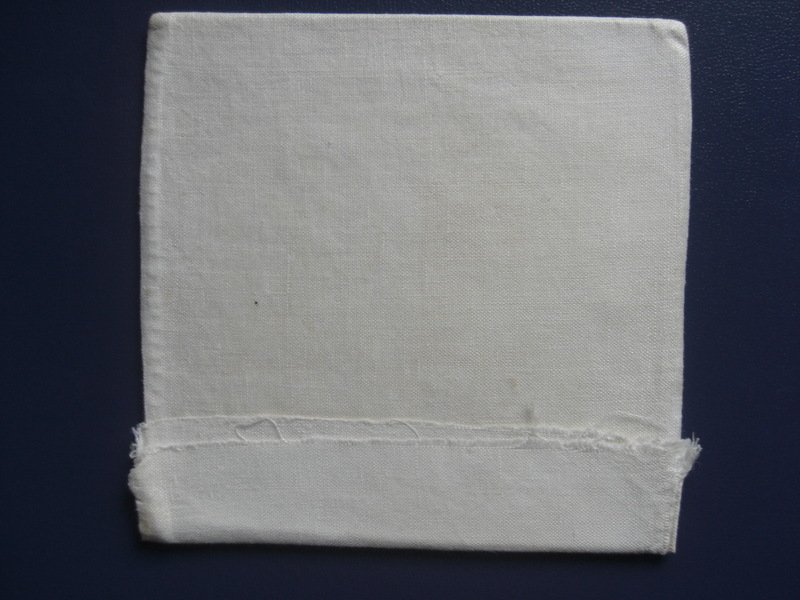 It is designed so that the card insert can be removed and the linen laundered. 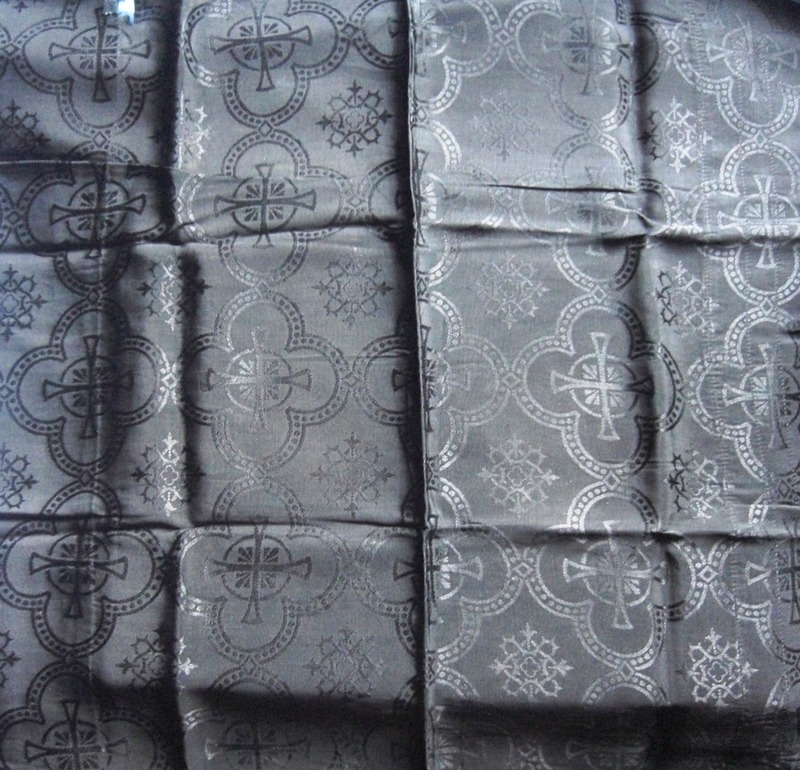 Chalice veil in fine silk. 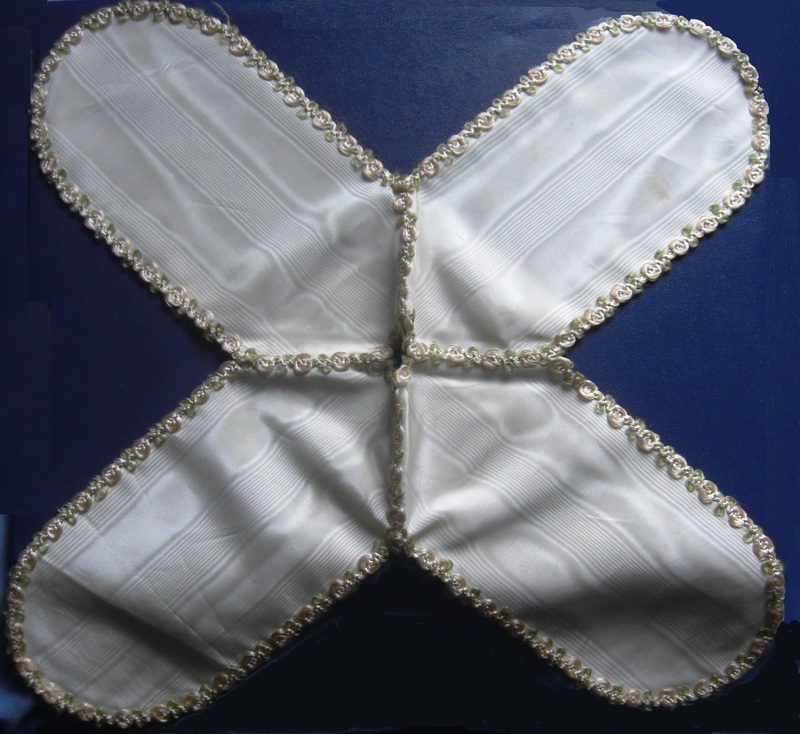 Ciborium cover in fine watered silk.